In Southeast Alaska, the first thing you learn about going out into the wilderness is to carry a gun or, at the very least, bear mace. The second thing you learn is to avoid touching the devil’s club. Which is why I’m experiencing some cognitive dissonance watching Amund Rongstad take hold of a thick stalk of it, thousands of wicked-looking spines running along its length. We’ve hiked up into the forest south of Juneau, and devil’s club is everywhere, its thorny stems supporting leaves the size of a man’s hand. On his, Rongstad wears a pair of white leather gloves, relics from a high school welding class that call to mind drum majors or a fancy cowboy. He flips open an extremely not-street legal pocket knife—really a pocket saw, a thing I was not aware existed until just now. As he cuts into a stalk, a burst of scent is released into the air, vegetal and spicy and woody. This is the smell of the gin I’ve been imbibing, heavily, for the past two weeks. Juneauper gin is the flagship product of Amalga Distillery, a young venture helmed by the husband-and-wife team of Maura Selenak and Brandon Howard, assisted by Rongstad. Their gin tastes like the forests of Southeast Alaska, which is no mistake; in addition to the standard juniper berries and citrus and spice, Amalga uses botanicals that can only be found in the surrounding woods. These are the plants that have been used by Native Alaskans for centuries—devil’s club and spruce tips and Labrador tea, which smells like a fragrance I would pay too much money for at a Steven Alan store, all eucalyptus and vanilla and the color green. The resulting gin, while distinctly ginny, is also unlike anything I’ve ever tasted, like gulping the air of a boozy temperate rainforest. Top Left: Inside the tasting room. Bottom Left: Brandon Howard and Maura Selenak. Right: A copper still at Amalga Distillery. 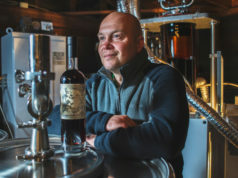 “Having things rooted in the place where you’re from—that’s what it’s about,” says Howard, who studied botany and chemistry before turning to home brewing and eventually craft distilling. “You can buy everything that they use to make Tanqueray online. But that’s of no value to the consumer or real interest to us.” In opening Juneau’s first distillery, their goal is to produce spirits that reflect the terroir of the region. Seasonal variations, from Sitka roses in July to orris root in early fall, make each small batch of gin slightly different. Howard describes the guiding principle as “not consistent, but consistently good.” And more is to come. In August they barreled their first run of whisky, and they have plans for an alpine botanical liqueur à la Chartreuse down the road. 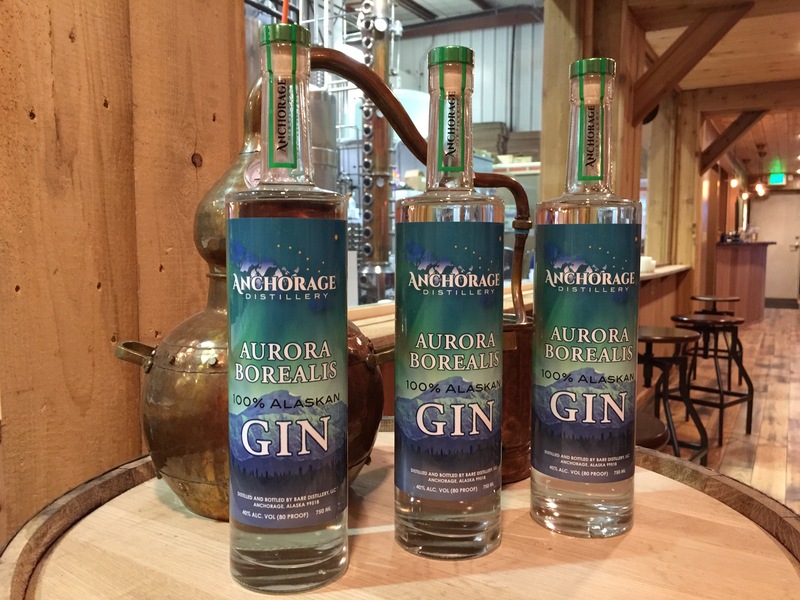 This fall, Amalga will start working with a distributor to bring their gin to a wider market in Alaska, but for now the best way to sample their wares is at their tasting room in downtown Juneau. It’s an airy space filled with natural light, polished concrete, and a mix of locals and cruise ship tourists, anchored at one end by a wall of bright floral wallpaper that is coming to a selfie near you. 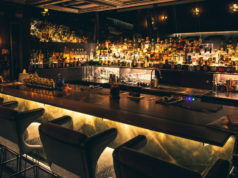 An ever-changing roster of cocktails is pre-batched and served on tap, though a recent ruling by Alaska’s Alcoholic Beverage Control Board may change how distilleries serve booze in the future. In late summer there was a particularly delicious dirty martini that used the brine from Barnacle Foods’ kelp pickles to filth up the gin. It was served with a single, orange orb of salmon roe floating on a nasturtium leaf. After a few of them—the coastal umami of the kelp brine balancing the verdant brightness of the gin—you’d be forgiven for thinking there’s no more perfect place than Southeast Alaska.